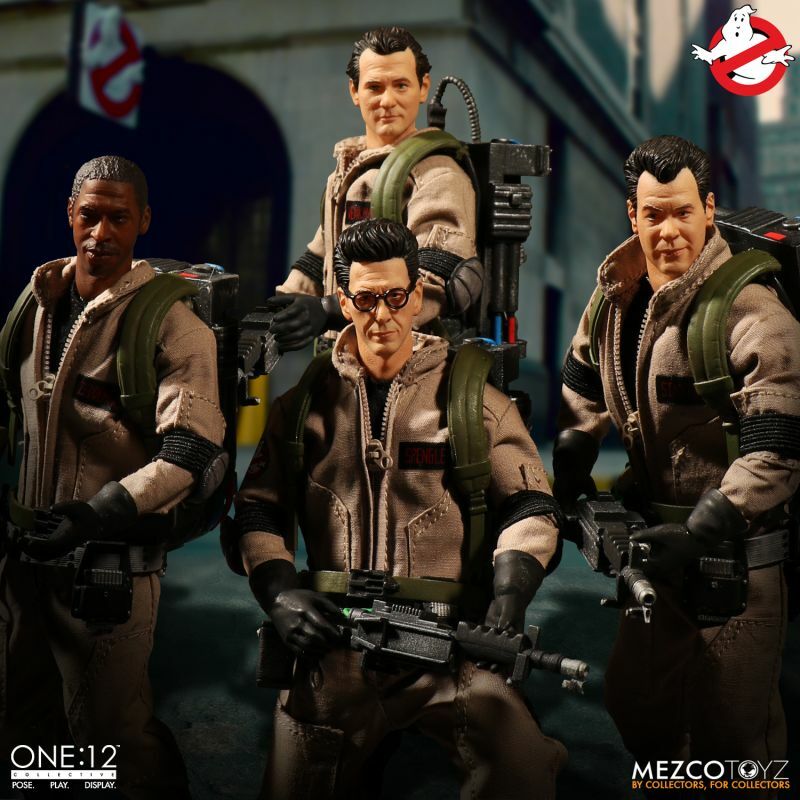 The One:12 Ghost busters Deluxe Box Set features all four heroes, each boasting two head portraits: one natural and one scared expression, and also features the likeness of Bill Murray, Dan Aykroyd, Harold Ramis, and Ernie Hudson. Each of the 4 paranormal paladins comes with their own proton pack with a light-up feature, perfect for pesky encounters with ectoplasmic entities. Simply press the button on the proton pack to activate! No detail was overlooked when designing the Ghostbusters’ uniforms which feature working zippers, functional pockets, nametags, and the Ghostbusters logo.